Women’s Swarovski salmon rose necklace. The classic look has been given a revamp with this unique and very stylish necklace. The chain is made from nickel-free metal and measures 45cm in length. 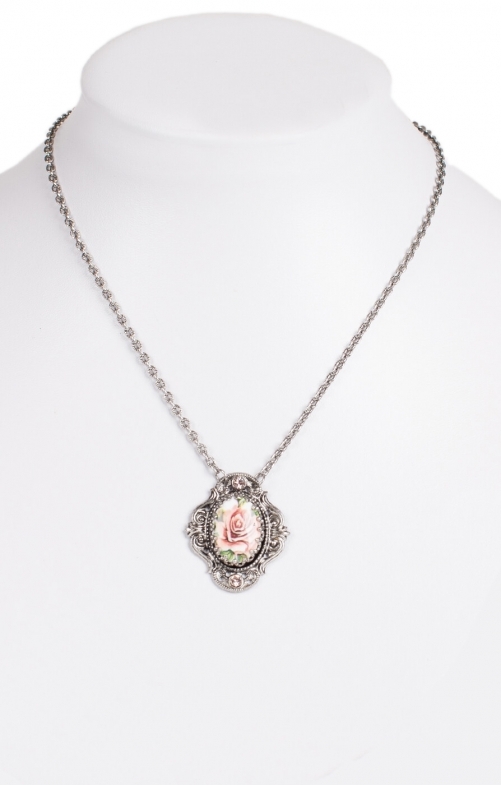 It supports a striking and intricate metal pendant that boasts matching Swarovski crystals at the top and bottom with a classic salmon-coloured rose motif at the very centre on the pendant.